Healthy Kids Day is our annual, nationwide initiative designed to inspire all youth, parents, and caregivers – regardless of membership status – to get active and make healthy choices over the summer and beyond. Summer is the time for kids to get up, get out and grow. But for some kids, exposure to activities that stimulate the body and mind ends with the school year. In fact, research shows that kids are prone to gain more weight and fall behind in studies. At the Y, we believe kids can do anything with the right support. That’s why we are committed to helping kids get on (and stay on!) a healthy youth development journey that includes physical, cognitive, and social-emotional growth. Awaken summer imagination! April 27 is the YMCA’s Healthy Kids Day! Stop by the Naples Y for lots of FREE activities! Bring the entire family and enjoy: bounce house, face painting, activities, games, arts & crafts, fitness classes and much more... It’s a fit family fun blast! EVENT IS FREE & OPEN TO THE PUBLIC! Join some of our awesome community guests who support the Y's Healthy Kids Day! Vendors & sponsorship opportunities available now! 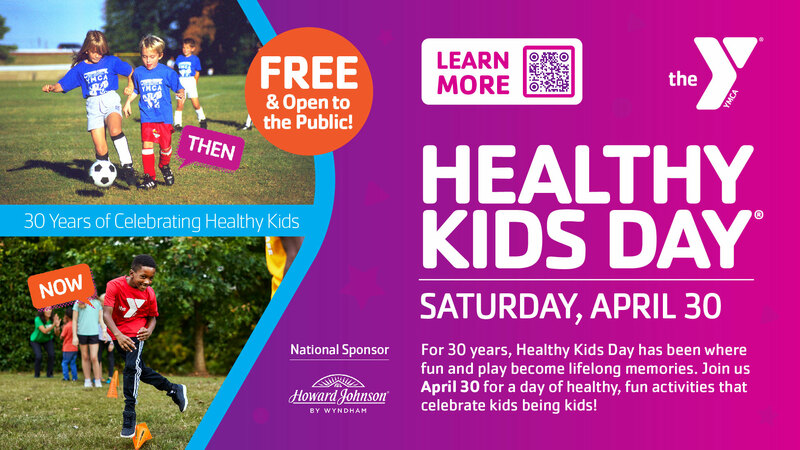 Does your business want to be part of Healthy Kids Day? Contact Carly Gibb at cgibb@greaternaplesymca.org or call 239.963.3771 for information about vendor space and sponsorship opportunities!